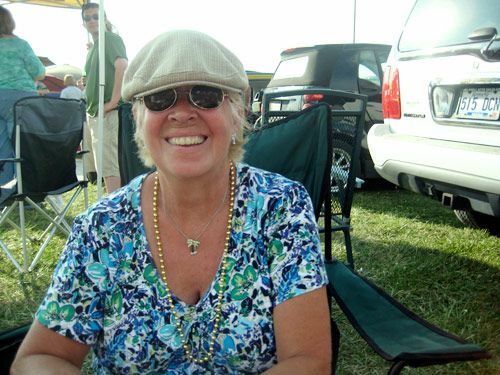 So this year, having now turned into someone who can get actually emotionally unhinged listening to a song called “Fins,” we thought we’d do one last round, one last splash, one more trip out to the show for Mom. Here’s what happened. Island Packet — The thing about viral video is that it can make you a star while you’re not even looking. Jake Shimabukuro, a ukulele whiz kid from Hawaii, was going about his daily business two years ago, when over the course of a week he began getting a unusual number of e-mails from friends and family. Generally speaking, this is not something you want to hear. Ever. Shimabukuro says this all with the effortlessly chilled, musical cadence you’d expect from a Hawaiian native, one whose life has been music since the age of 4. Now 30, and thanks to his effortless virtuosity, some luck and a the nation’s lively army of Parrotheads, Shimabukuro has visited almost as many destinations as his video, and will see plenty more on a solo tour that brings him to Jacksonville, Fla., on Wednesday. The tour is Shimabukuro’s first solo jaunt in a while. 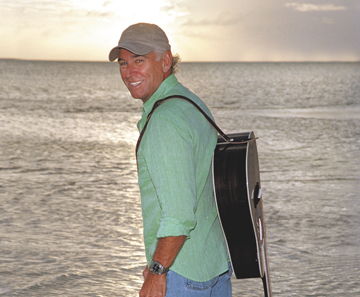 He’s spent the past two years visiting various latitudes with Jimmy Buffett, who tapped him to add a little authentic island vibe to his Coral Reefer Band (and open each show with a brilliant uke-based take on “The Star-Spangled Banner”). The two met, rather satisfyingly, at a surf shop. “I was scheduled to do a radio show in Waikiki, and apparently a few hours before Jimmy was in. 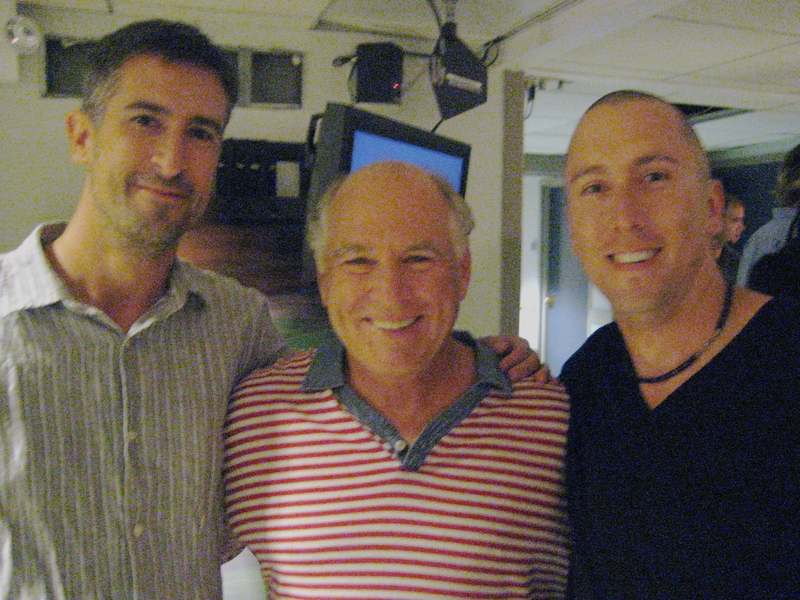 So when I walked in, the manager said, ‘Hey, you’re not gonna believe this, but Jimmy Buffett left a note for you,” Shimabukuro said. The note asked Shimabukuro to not only come to Buffett’s show in Hawaii, but to sit in as well. “Soundcheck was the first time I met him, and he explained what he wanted to do,” Shimabukuro said. “I guess he liked it, because he invited me to tour with him for the next couple of years.” Shimabukuro added that he’ll appear with Buffett on a handful of dates this year as well. Billboard — “Fenway Park on Friday night. 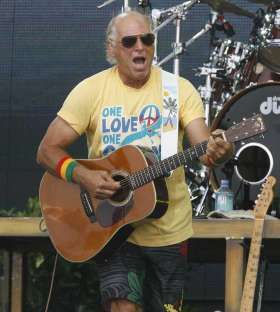 Who’d have ever thought it?” Having logged 30-some odd years in the music business, and presiding one of the most reliable draws to come down the road every summer, it’s tough for Jimmy Buffett to pull out many surprises these days. 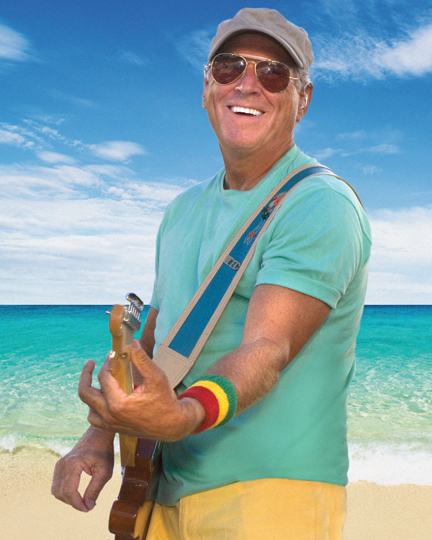 But for the 2004 edition of his annual festival of shameless escapism, calypso/country and nice cold beverages, Buffett pulled out two doozies. One was his first-ever No. 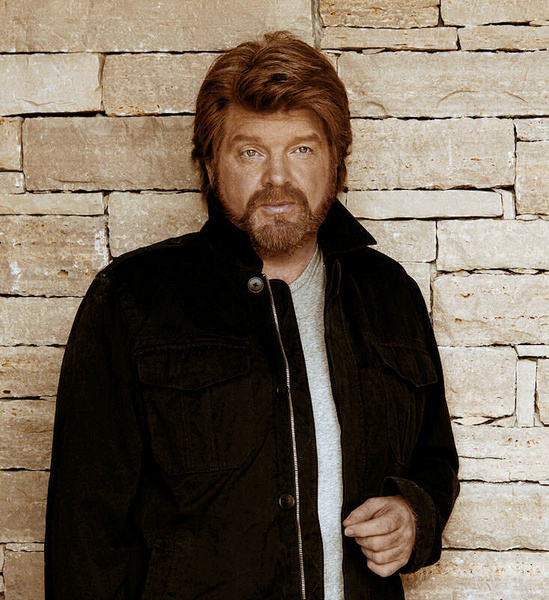 1 record, “License To Chill,” a set of mostly country duets that surfed the momentum from his Alan Jackson duet “It’s Five O’Clock Somewhere” to become strongest studio album in years. The second might have been more wicked: a two-night closing stand at Boston’s Fenway Park. And judging by his Sept. 10 show on those hallowed, cursed grounds, the latter may yet go down as the more memorable of the two. 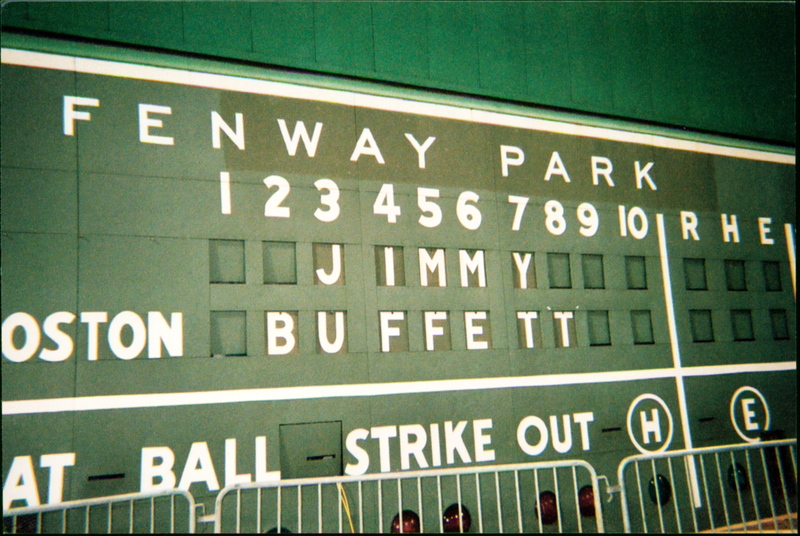 The Red Sox even re-jiggered the Green Monster’s hand-operated scoreboard to read JIMMY BUFFETT, much to the delight of everyone who smuggled a camera into the park. The coming of Buffett seemed a capitalized Event in a neighborhood that’s seen its share of them, and the king Parrothead only descended on Boston after some degree of bureaucratic hand-wringing. Neighbors and lawmakers were wary of the traditionally lubricated crowd, though a controversial city no-tailgating rule seemed to have little effect on the vibe — where can you tailgate in a neighborhood with no pahking anyway? It was also a sequel of sorts; Buffett packed the ballpark exactly one year and three days after Bruce Springsteen and the E Street Band re-christened it as a rock’n’roll destination. But Springsteen was touring behind his paean to 9/11, “The Rising,” which demanded at least a brief pause for reflection in the raucousness. Though their Sept. 10 and Sept. 12 shows bookended the attacks’ third anniversary, Buffett and his Coral Reefer Band — augmented by slide guitarist Sonny Landreth and Little Feat pianist Bill Payne, to bring the starting lineup up to 16 — harbored no delusions of purpose. They were there to bring “Fins” to Fens, turn the heat and humidity up and rattle the house like it hadn’t been rattled since, well, the Red Sox’s collapse last October. Buffett himself smartly took time to acknowledge that, though he was the party’s host, he was also its de factor scorekeeper. “I just want to let y’all know,” he said upon returning from intermission, “The Yankees are losing 10-5,” and the resulting cheer might have thrown off cell phone reception all the way to Worcester. He spun a tale of how a wintertime barroom meeting with Boston Bruin Derek Sanderson inspired the frothy “Boat Drinks,” which he said is the only time he ever let himself write about hockey. And midway through the show, he produced a Caribbean-dressed “Jolly Mon” to officially reverse the curse. To do so, he wielded the lumber himself and hit T-shirts into the crowd, and damned if the 57-year-old didn’t go 4-for-4 (though it should be noted, evidently, that Springsteen’s 2003 attempt at same did not exactly take). As one might be able to guess, “License To Chill,” despite its platinum status, hasn’t changed Buffett’s template much. The show remains deceptively simple, carefully orchestrated and very difficult not to grin through at least part of. And for two-and-a-half hours and 30 songs, the energized-almost-to-the-point-of-reverence Buffett (“This is kind of overwhelming,” he admitted early on) bounded about the stage, called audibles with his band and spun tales of pirates and tropics and means of escape that are forever just one hastily considered decision away. “Let the world go to hell / I think I’m going back to Brazil,” he grinned in the album’s title track, illustrating his skill at tricking Sox fans into thinking they’re watching the sun drop in someplace like Fiji. When he did evacuate the Keys for the more mainland-oriented “License” tracks, Buffett still hit surprisingly well (including new songs is a dicey maneuver when playing for a crowd that never tires of “Cheeseburger in Paradise”). “Coast of Carolina,” co-written with guitarist Mac McAnally, was a gentle breeze; the Will Kimbrough stomper “Piece of Work,” propelled by a driving Bo Diddley beat, was the most rock’n’roll song Buffett’s played in years. In the encores, “Scarlet Begonias” was as snug a fit as his standard but frothy cover of “Southern Cross” — you almost wonder what took so long for him to get to it. Elsewhere, Buffett and his fine band had no trouble keeping the energy up. “One Particular Harbour” showcased Robert Greenidge’s steel drums; “Son of a Son of a Sailor” did the same with Nadirah Shakoor’s soaring vocals (the powerful singer tore up a brief cover of “Respect” as well). And Buffett used an opening mini-acoustic set to dust off “The Great Filling Station Hold-Up,” from his pre-“Fins” days of pickup trucks, honky-tonks and petty crime. For those there to sing along loudly and badly, Buffett bookended “Why Don’t We Get Drunk” with slivers of “Purple Rain” and “Sweet Caroline,” probably the first time in recorded human history those three titles have ever appeared in a sentence together. But in closing the show, Buffett dedicated Jesse Winchester’s pretty, breezy “Defying Gravity” to 9/11 victims, and in doing so, pulled off a surprisingly effective simplification of things. For four minutes, released from the cheeseburgers and the beach balls and the SUVs with papier-mache fins strapped atop them, Buffett was back in his early days — a guy with an easy smile and breezy demeanor, with several of his most recent ambitions met and the maddeningly enviable ability to do next whatever he pleases.